Synthetic peptide, corresponding to residues in Human VAMP1 (UniProt: P23763). Our Abpromise guarantee covers the use of ab151712 in the following tested applications. WB 1/1000 - 1/10000. Predicted molecular weight: 13 kDa. Involved in the targeting and/or fusion of transport vesicles to their target membrane. Nervous system, skeletal muscle and adipose tissue. Belongs to the synaptobrevin family. Contains 1 v-SNARE coiled-coil homology domain. Mitochondrion outer membrane; Cytoplasmic vesicle > secretory vesicle > synaptic vesicle membrane. Cell junction > synapse > synaptosome and Cytoplasmic vesicle membrane. Cell junction > synapse > synaptosome. 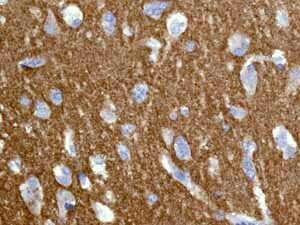 Immunohistochemical analysis of paraffin embedded normal Human brain tissue using ab151712 showing +ve staining. 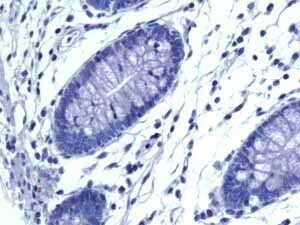 Immunohistochemical analysis of paraffin embedded normal Human colon tissue using ab151712 showing -ve staining. 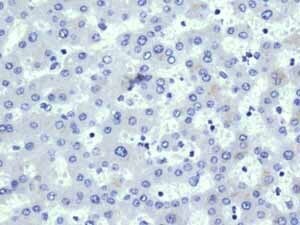 Immunohistochemical analysis of paraffin embedded normal Human liver tissue using ab151712 showing -ve staining. 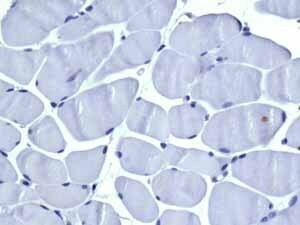 Immunohistochemical analysis of paraffin embedded Human Skeletal muscle tissue using ab151712 showing -ve staining. 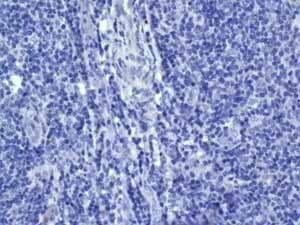 Immunohistochemical analysis of paraffin embedded normal Human tonsil tissue using ab151712 showing -ve staining. Publishing research using ab151712? Please let us know so that we can cite the reference in this datasheet.